Labour’s five-point plan, which is set to be published in the party’s long-awaited green paper, will set out how, if they form the next government, Labour plans to boost UK properties’ energy efficiency profile and help put an end to fuel poverty. The plan was originally announced in September’s Labour party conference, as part of Labour’s broader pledge to improve the energy efficiency of five million homes. The green paper provides more detail on how the party’s Energy and Climate Change team plans to make the shift from what they consider the unsuccessful Green Deal plan launched by the current government, and to a new, more effective policy regime. At Labour’s conference, Shadow Energy and Climate Change Secretary Caroline Flint made her feelings known about the coalition government’s apparent failure to deliver the potentially tens of thousands of energy efficiency upgrades promised by the Green Deal scheme, which aimed to encourage householders in the UK to install lost insulation, draught-proofing, double-glazing, and other energy efficient measures in their homes for long-term financial savings. Labour’s strategy proposes using funds raised through the Energy Company Obligation (ECO) scheme to offer households in the UK individual reports each year, outlining how they could be making energy savings. This would be supported by Labour’s proposed ‘expansion’ of the Green Deal financing model, which offered householders interest-free loans if they undertook energy efficient upgrades to their homes. It is the party’s plan that these reforms would ultimate result in a forecasted 20,000 fuel-poor households being offered subsidised energy improvements annually. 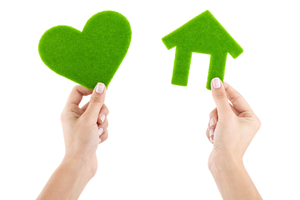 This suggested revamped version of the Green Deal could prove to be a huge benefit UK householders’ energy efficiency, and the potential savings they could make as a result.